Beat white sugar and 1 1/2 cups butter together in a bowl with an electric mixer until light and fluffy, about 10 minutes. Add eggs one at a time, thoroughly beating each egg into the butter mixture before adding the next. Sift flour, salt, and baking soda together in a bowl. Add 1/3 of the flour mixture to the butter mixture; mix well. Pour in 1/2 the buttermilk and beat until combined. Repeat adding the remaining flour mixture and buttermilk, beating well after each addition, and ending with the flour mixture. Stir lemon extract into batter. Pour batter into prepared tube pan. Bake in the oven until a toothpick inserted into the center of the cake comes out clean, 60 to 75 minutes. Cool in the pan for 10 minutes before removing to a cake platter or plate. Beat confectioner's sugar, lemon juice, 2 tablespoons butter, and lemon zest together in a bowl until glaze is smooth. Pour about half the glaze over the cake; let cool. Pour remaining glaze over the cake. 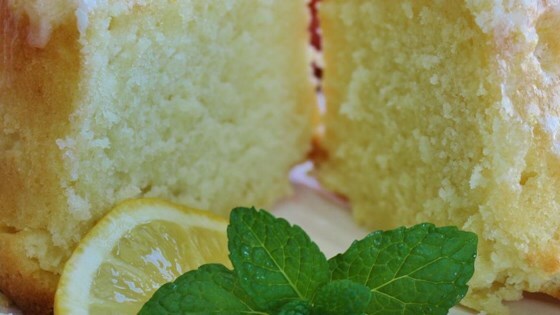 A delicious citrus flavored pound cake. Very easy, delicious recipe. I added lemon zest to the batter (because why not??) and it turned out perfectly!